We specialize in independent third party traded U.S. and World Gold Coins, and U.S. Currency. We are known nationally and around the world for offering a wide variety of quality rare gold coins. Gold has been a valued substance for as long as history can determine, and it was used in some of the first coins struck, in Asia Minor in the 600s B.C. The Persian Empire (546-334 B.C.) owned much of the world’s gold at the time and struck large quantities of gold coins called “darics.” Few of them, however, survive today. Carthage, a powerful city and state in North Africa, also was a major player in gold coinage at the time. 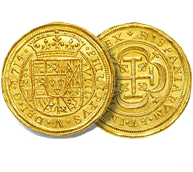 The Phoenician empire took advantage of gold deposits on the Iberian Peninsula and struck coins called “staters” in electrum – an alloy of gold and silver. United state gold coins are popular among the individuals and investors since 1933. US gold coins from the nineteenth and early twentieth centuries feature some of the most beautiful designs ever minted onto American coinage. The first gold coins issued by the United States Mint were in 1795. 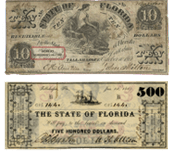 Our Paper Money division specializes in Obsolete and National Bank Notes especially from the State of Florida. We are always in the market to purchase, sell, and/or trade all U.S. Paper Money. William Youngerman buys and sells rare gold coins, gold and silver bullion in Boca Raton and the surrounding South Florida area. Our variety of rare graded U.S. and world gold coins and currencies makes us a sought-after company for collectors and investors, alike. We buy and sell gold and silver from our store location in Boca Raton, but we also buy and sell gold coins internationally through our website. All of our major gold and silver bullion products are stocked and ready for immediate delivery, allowing you to physically take possession of your gold asset immediately after payment. If you are interested in selling your gold or silver bullion products but are unable to physically visit our store, William Youngerman offers house calls by appointment along with bank vault visits to appraise the contents of your collection in the South Florida area. This comes with an immediately written offer for your gold or silver at the best prices in the market! Whether you are thinking of buying or looking to sell gold or silver, William Youngerman looks forward to the opportunity of working with you. We help our clients diversify their portfolio of gold, silver, and rare coins and collectibles. We can either help add to your own collections or purchase your gold collection that you may have acquired over time. Regardless of collection size, we will match or beat any competitor’s pricing when purchasing gold, silver, diamonds, jewelry as well as large estates. For more information on buying and/or selling gold or silver with William Youngerman give one of our experienced gold dealers a call today at 561-368-7707. As the top gold dealer in Boca Raton, William Youngerman buys and sells gold coins, gold bullion and gold collections of all sizes. We understand the importance of investing in gold to solidify and diversify your portfolio. When other forms of currencies dramatically go up and down and experience both inflation and deflation, gold always maintains its value. Gold is one of the safest investments you can make to add stability to your portfolio. William Youngerman buys and sells gold coins, gold bullion and bars to help you protect your investments. 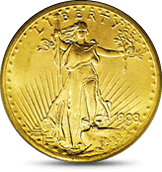 U.S. Gold Coins – We buy and sell a ton of U.S. gold coins that are incredibly popular among individuals and investors. Some of the United States coins that we sell include the $20 Gold Liberty, $10 Gold Liberty and other rare U.S. gold coins in the denominations of $1, $2.5, $3, $5, $10 and $20. For more information on the gold coins that we have for sale visit our U.S. Gold Coins section or call our experts today at 1-800-327-5010. 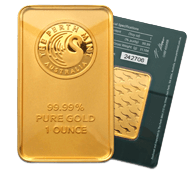 Gold Bullion – William Youngerman buys and sells the highest purity gold bars and gold bullion. We carry Engelhard Gold 1 oz. bars, 10 oz. bars and 1-kilogram bars of .9999 purity. Call us today for pricing or to get an offer on your gold bars! Gold Jewelry – We also buy and sell gold jewelry and gold jewelry collections. We have a collection of incredibly rare pocket watches that any collector would die for! 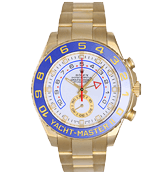 We also carry Rolex items and other rare watches in our inventory such as the Patek Philippe Skymoon Celestial Watch. World Gold Coins – William Youngerman is one of the most trusted gold dealers in Boca Raton and in the U.S. and we buy and sell a huge variety of World Gold Coins. If you are looking to buy World gold coins or have a collection of your own that you would like to sell in South Florida, we buy and sell a ton of Australian gold coins, gold coins from Belgium, Canadian gold coins, Cuban gold coins, Colombian gold coins and more! Along with rare gold coins and bullion, William Youngerman also specializes in rare currencies from all around the world. Some of our more popular sellers include National Bank Notes and Obsolete Notes. If you would like to add to your rare paper currency collection, browse our website or visit our store in person. To sell paper currency give us a call today. We will appraise your currency and give you an immediately written offer that beats all other market prices. Does William Youngerman Buy Metals Other Than Gold and Silver? Yes we do! While we specialize in gold and silver bullion, William Youngerman does buy other precious metals. If it has value and the potential to diversify your portfolio, we’re interested! Check out our collection of Platinum Bullion, including 1 and 10 oz. platinum bars, Australian Platypus coins, Canadian Maple Leafs, and Platinum U.S. Eagles. We also buy and sell Palladium bullion such as the Palladium Canadian Maple Leaf and PAMP Suisse Bars. Give us a call for pricing or to have your Platinum and Palladium Bullion appraised! For additional information please complete the short form below. For over 50 years I have worked with investors and collectors with proven strategies for hard asset portfolio diversification. I have built major collections of U.S., world, and ancient coins and currency for my clients. Whether buying or selling, we would count it a privilege to work with you in any of your rare coin or precious metals needs. Welcome To William Youngerman Inc.
Want to learn the keys, tips and fascinating history of 'Hard Asset' investing? Sign Up for a free subscription to Bill Youngerman's exciting and informative new e–newsletter.